One Dollar is a participatory web documentary taking root in Cambodia. We invite emerging directors and multimedia journalists to give a voice to individuals living below the poverty line in their community, town, or village by submitting five to seven minute video portraits. We hope to cultivate the unique potential of a young generation passionate about new media and audiovisual creation to facilitate a global dialogue about economic injustice. These videos will be published on our website, allowing viewers to access snapshots of life from around the world. Together, we will analyze our society from the bottom of the social hierarchy and utilize participatory media to create awareness and hopefully provide a catalyst for social change. The mission of One Dollar filmmakers will be to focus their portraits on the daily lives of men and women who fight for every dollar they make, every day, and provide them an opportunity to share their personal experiences with a global audience. This does not mean speaking in their place, but instead offering them a “speaking space” that otherwise would not exist. Every director will listen to the daily struggles along with the ambitions of their character. They will express their desire to escape their condition and display aspirations for living a life of dignity. Often these workers ask for nothing else. They do not complain. They manage the uncertainties of their life according to their position in a society that has abandoned them to their difficulties. Their dignity is at the heart of our project, a webdocumentary conceived to explore the value of one dollar and what it represents for the billions of individuals ignored my mainstream media. What does a day’s work mean? What effort does a woman make in order to earn a dollar? What does she buy with this bit of money? What does she do when the prices of basic goods increase? Does she struggle to eat, to find shelter, to send her children to school, to take care of herself, to remain standing? How much money does she need to make to earn respect? The timing of this project aligns with the projected completion of the UN Millennium Development Goals. The eight lofty objectives focus on reducing poverty and will be measured through studies and discussed in terms of statistics. We hope to provide an alternative perspective on poverty. We will share stories that give a voice to an invisible population allowing us to move from impersonal numbers to personal stories. The submission is now opened for all. We need your help to make this project successful!! 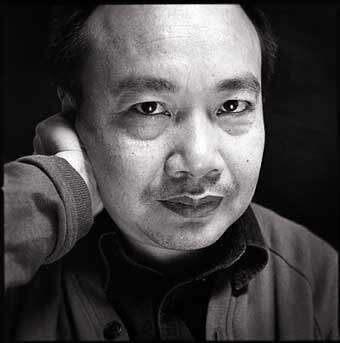 Founded by award-winning filmmaker Rithy Panh, the Bophana Center collects image and sound archives related to Cambodia and gives the general public free access to this unique heritage. The Center also trains young Cambodians in the fields of cinema and new media, to enhance their understanding of the creation process and inspire meaningful productions about their own culture. With the One Dollar Project, Bophana hopes to inspire young filmmakers both in Cambodia and abroad to use the power of media for social justice. Are you interested in partnering with One Dollar? Please contact us. Get a quick update when a new portrait is available. See previous issues. One Dollar is a project developed in Cambodia by the Bophana Audiovisual Resources Center. If you want to support the project, please contact us.